SKU: 4944258005324. Categories: Cars, Remote Control. 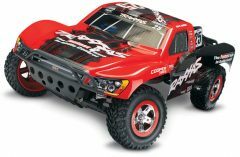 A striking appearance and performance to match, the HPI Blitz is a thrilling off-road RC truck. 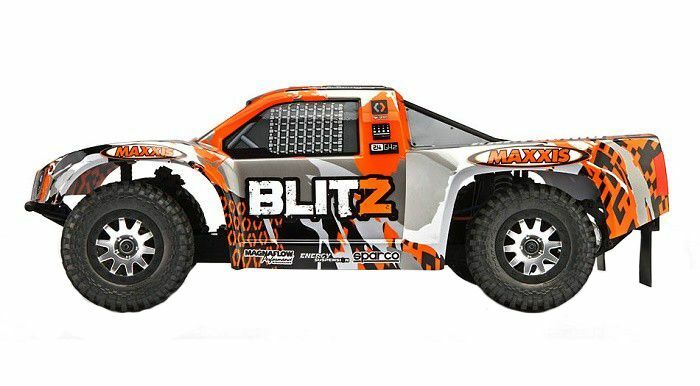 The Blitz is an updated version of HPI’s popular short course RC truck. It now comes with a high quality 2.4GHz radio system, where the receiver is stored in a waterproof box. This works in conjunction with the waterproof SC-15 WP ESC and SF-10W steering servo. The ESC can work with a six to seven cell NiMH battery or 2S LiPo (a LiPo cut-off function is included). HPI have included a secure rear battery mount, which can be accessed through a simple thumbscrew strap. 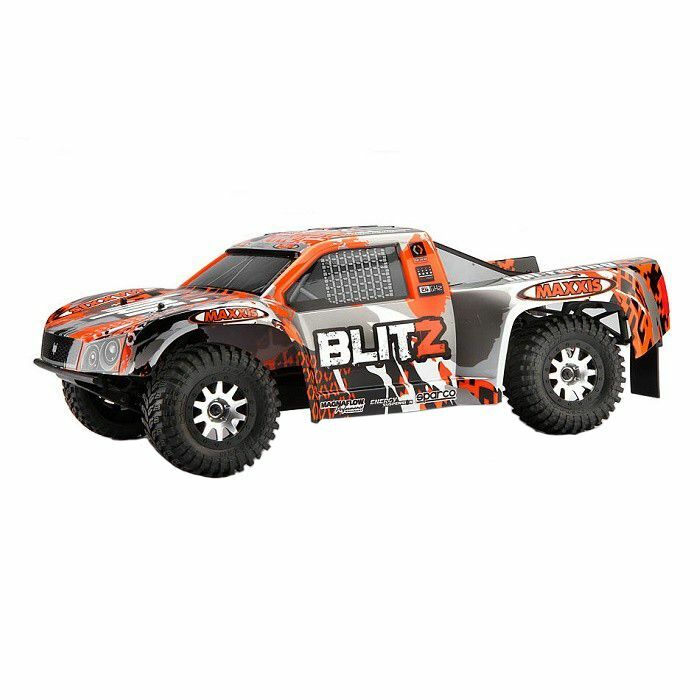 The Blitz is run by a Firebolt 15T motor, which gives you plenty of power for competition or off-road fun! 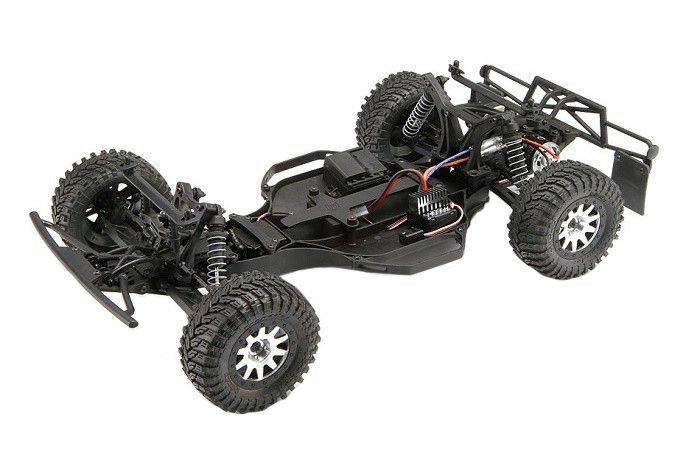 You will be able to easily control this system with the included pistol-grip radio, which comes with a steering wheel and servo reversing. This transmitter is designed to avoid frequency conflicts – it changes channels if there is any interference. If you do happen to lose radio signal or battery power, an electronic failsafe will ensure it stops smoothly. This radio system allows you to control the Blitz’s all metal gear transmission. This brushless-ready transmission comes with silicone oil pre-filled in the diff to make driving easy. This setup is underpinned by a main chassis which is based on their E-Firestorm. 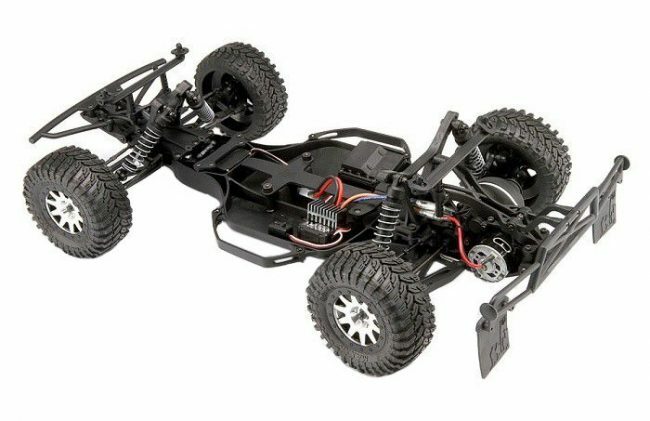 This chassis has a long wheelbase to give you great stability. In order to tackle the off-road conditions, the Blitz is equipped with threaded shock bodies with fast adjustability. This suspension uses captured hinge pins to make maintenance easy and keep the shocks smooth. 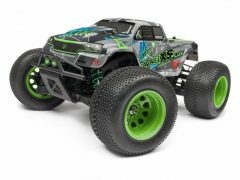 This works well with the truck’s pivoting skid plates, which have been adapted from the Baja 5T and can readily absorb impacts. The rear of the truck comes with a pre-installed toe block. This three-degree block can be quickly changed and gives you plenty of traction. 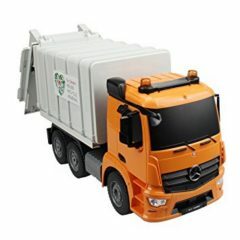 HPI have ensured that the Blitz uses high quality, high-impact nylon plastic on the most important areas of the truck, from the bumpers to the arms. Additionally, a complete set of rubber-sealed ball bearings are used to ensure a smooth drivetrain. You will also notice the 12mm hex hubs, which will secure the wheels and prevent them from stripping. 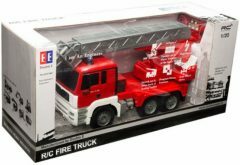 This RC truck has a striking appearance. 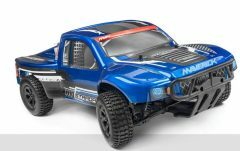 It comes with a new Skorpion body and graphics that has been treated in several areas to improve the overall handling and feel while driving and while airborne. The Blitz comes completely pre-built and ready-to-run out of the box. If you cannot wait for a thrilling off-road experience, order the HPI Blitz today.